As a former contractor and the current CEO of BuildDirect, Jeff Booth knows a lot about renovations – but even he says bricks-and-mortar retailing has crumbled beyond repair. In an interview Tuesday with ITBusiness.ca, he predicted that store-based retailing will be extinct within a decade. “There isn’t a right way to do (physical retail). It’s dead. In 10 years I think it will all be done online,” said Booth, who also co-founded BuildDirect. The first wave of ecommerce basically replicated in-store offerings online and made shopping a more convenient process, he said. The new wave of etailing surpasses that by harnessing real-time data to make the process exponentially more efficient, cost-effective and accurate for both consumers and sellers alike. This photo from the BuildDirect website showcases some of the home renovation products consumers and contractors can buy directly from manufacturers on its platform. 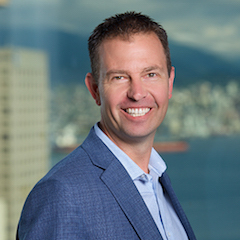 Launched out of Vancouver in 1999, BuildDirect is an ecommerce platform that allows homeowners and contractors to buy renovation products directly from manufacturers, at prices often 50 to 80 per cent cheaper than big box retail. BuildDirect makes money by charging manufacturers a percentage-based fee on each transaction involving sales of their merchandise on the site. Eliminating the retail layer makes it faster, easier and cheaper for consumers to purchase reno materials; it removes a lot of steps and costs for the manufacturers as well. “They get better visibility with consumers and we run all the distribution and logistics for them,” Booth said. Besides facilitating the purchases online, BuildDirect takes care of shipping for every order. Once products are ordered, they go from the manufacturers to one of BuildDirect’s 40 distribution facilities across North America, then onto the consumers who purchased them. This adds efficiency (and cuts costs) from the distribution process by strategically filling orders based on demand, supply and the proximity of each BuildDirect shipping facility to the manufacturer and consumer. That distribution system has some observers calling BuildDirect “the Amazon of home renovations.” While Booth is flattered by the comparison, he points out that since most Amazon orders are lightweight, the giant U.S. etailer can ship them via existing services such as FedEx. To ship single customer orders weighing up to 3,000 lbs., however, BuildDirect had to build its own distribution network from scratch. “There was no FedEx for overweight products so we had to create one, not just ground transport but rail and steamship,” Booth said. To really make the whole thing work, he added, BuildDirect also had to build its own predictive analytics systems. Its three proprietary solutions give manufacturers real-time data about demand for their products, how competitively they’re priced, and the regions where demand is highest and lowest. BuildDirect customers are allowed to order up to five free product samples before buying; this type of data helps manufacturers predict which products will likely see a surge in sales orders and adjust their pricing and inventory levels accordingly. This takes guess work out of inventory management by making it more accurate and precise. Although many retailers are using real time big data technology, Booth said BuildDirect is the only one using it in conjunction with its own logistics and distribution network for heavy goods. It’s so unique that other companies have asked Booth if BuildDirect plans to spin it off into a separate business the way Amazon spun off some of its cloud-based ecommerce architecture into Amazon Web Services. Booth said there are no plans for that at the moment but he didn’t rule it out completely either. With prospects like that, plus over $100 million in venture financing so far, BuildDirect looks like it has a pretty bright future ahead of it. The future for traditional Main Street retail, however, is bleak in Booth’s estimation.